The first DreamHack StarCraft event in the United States came close to hosting a miracle as America’s Alex “Neeb” Sunderhaft fought his way into a close final series against Korea’s Shin “Hydra” Dong Won. 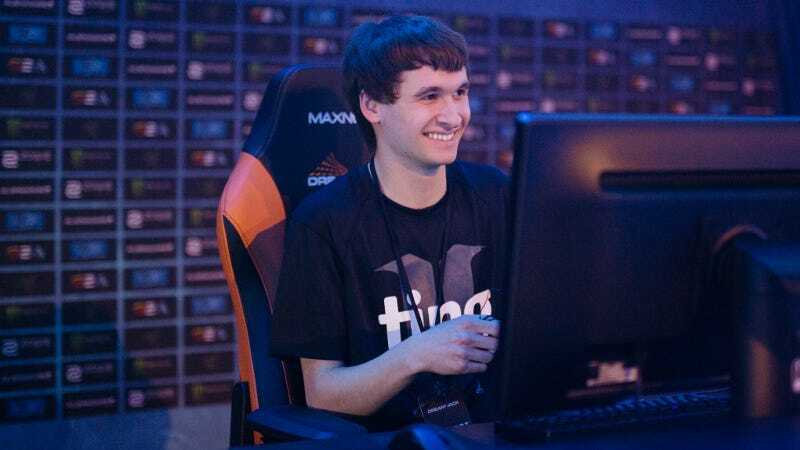 Neeb knocked-out two strong European players on his way to the final, crushing PtitDrogo 3-0 and defeating Snute 3-1. The latter is one of the very best StarCraft players in the world outside of Korea, and just by getting to the final, Neeb had given one of the best performances from a North American pro in years. But against Hydra, Neeb just couldn’t find the clean trades he needed to win his games. He played some incredibly entertaining games, but even as he was out-microing Hydra, he couldn’t inflict the economic and production damage he needed in order to keep-up. He fought until the bitter end, however, almost turning around their final game by knocking out Hydra’s deadly late-game army with Protoss Void Rays. He staked everything on an immediate counterattack, but it backfired as his army got stranded on the Zerg side of the map with an overpowering Zerg swarm. Hydra’s namesake units carried him to victory as they bled Neeb white during his retreat, securing the $16,000 grand prize for Hydra. Hydra’s is one of the few South Korean players to continue playing in the WCS system following the imposition of more stringent residency requirements that have largely cut the field to European and North American players. But Hydra had some close calls on his way through the bracket, and fellow Koreans Polt and viOLet were eliminated early. The WCS system does seem to have succeeded in giving non-Korean players a more competitive field, one that’s not dominated by the handful of Korean holdouts. For fans, it’s made the late stages of a WCS tournament a lot more interesting than they’ve been in the past, where the quarterfinals and semis were historically the place where “foreign hopes” went to die ignominious deaths. For the arrival of DreamHack StarCraft in the United States, things could not have gone much better.